A member of West Ham United's Official Supporters' Board has resigned by mutual consent - just a matter of weeks after the new group was launched. 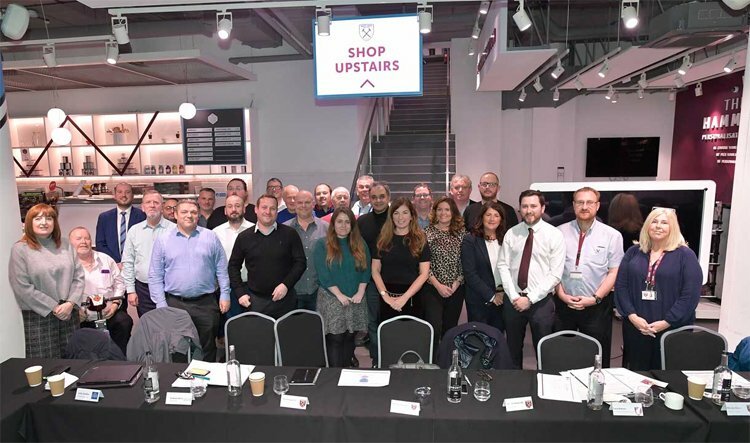 The controversial group of fan representatives, which was set up by the club's Board last year following the Burnley protests held its first meeting in December 2018. However one member who won't be attending any future meetings is former Away Season Ticket Holders representative Nik Tucker, who announced via social media on Thursday that he would no longer be involved with the group. "Unfortunately I have had to part company with the Official West Ham United Supporters' Board by 'cough' mutual consent," wrote Mr Tucker on the Crossed Hammers Facebook page. "I suppose my face and humour just doesn't fit. Thanks for those who put me there with your recommendations but I suppose we are just dinosaur fans who the club would like to be extinct." The OSB has endured a difficult start to life after it was deemed "undemocratic" having refused to engage with the club's officially recognised Independent Supporters' Association. WHUISA, which enjoys support from the nationwide Football Supporter Federation boasts in excess of 4,000 paid members, but was refused the opportunity to become part of the process by West Ham. The club had willingly ignored advice from both the FSF and Supporters Direct suggesting they consult the ISA and include it in the process. As recently as December the OSB was in the news again when The Guardian revealed that one of its members had "expressed support for the Democratic Football Lads Alliance, a group condemned by anti-racism campaigners". Mr Tucker's profile has already been removed from a list of representatives on West Ham United's website.